This is more by George Freidman on the Russian Borderlands. All this is presently driven by the cash flow of the oil industry which has blossomed since the Soviet Union dissolved. I must admit however, that I find it difficult to care too much. We are now entering the last stage of the oil based global economy. Of course none of you actually accept that and my heart does not wish to accept that at all either. Yet today I know that I can replace all engine systems with an alternating motor that taps the electrical potential around us and it turns out to be simple. As well I can build power plants that tap a minor atmospheric temperature potential to produce at least one million brake horse power or ten times that if I also use the engine design as well. It is also cheaper by an order of magnitude. The entire world will soon be grasping with a massive sea change in terms of their economies and their tax systems. Most will find themselves drowning and struggling to create viable alternatives. Knowing this is rushing toward us makes present geopolitics as quaint as the Cold War. The good news for this part of the world is that they have been through it all before while no one else has a clue. I arrive in Azerbaijan as the country celebrates Victory Day, the day successor states of the former Soviet Union celebrate the defeat of Germany in World War II. No one knows how many Soviet citizens died in that war -- perhaps 22 million. The number is staggering and represents both the incompetence and magnificence of Russia, which led the Soviets in war. Any understanding of Russia that speaks of one without the other is flawed. As I write, fireworks are going off over the Caspian Sea. The pyrotechnics are long and elaborate, sounding like an artillery barrage. They are a reminder that Baku was perhaps the most important place in the Nazi-Soviet war. It produced almost all of the Soviet Union's petroleum. The Germans were desperate for it and wanted to deny it to Moscow. Germany's strategy after 1942, including the infamous battle of Stalingrad, turned on Baku's oil. In the end, the Germans threw an army against the high Caucasus guarding Baku. In response, an army raised in the Caucasus fought and defeated them. The Soviets won the war. They wouldn't have if the Germans had reached Baku. It is symbolic, at least to me, that these celebrations blend into the anniversary of the birth of Heydar Aliyev, the late president of Azerbaijan who endured the war and later forged the post-Soviet identity of his country. He would have been 91 on May 10. Baku is strategic again today, partly because of oil. I've started the journey here partly by convenience and partly because Azerbaijan is key to any counter-Russian strategy that might emerge. My purpose on this trip is to get a sense of the degree to which individual European states feel threatened by Russia, and if they do, the level of effort and risk they are prepared to endure. For Europe does not exist as anything more than a geographic expression; it is the fears and efforts of the individual nation-states constituting it that will determine the course of this affair. Each nation is different, and each makes its own calculus of interest. My interest is to understand their thinking, not only about Russia but also about the European Union, the United States and ultimately themselves. Each is unique; it isn't possible to make a general statement about them. Some question whether the Caucasus region and neighboring Turkey are geographically part of Europe. There are many academic ways to approach this question. My approach, however, is less sophisticated. Modern European history cannot be understood without understanding the Ottoman Empire and the fact that it conquered much of the southeastern part of the European peninsula. Russia conquered the three Caucasian states -- Armenia, Georgia and Azerbaijan -- and many of their institutions are Russian, hence European. If an organic European expression does exist, it can be argued to be Eurovision, the pan-continental music competition. The Azerbaijanis won it in 2011, which should settle any debate on their "Europeanness." But more important, a strategy to block Russia is hard to imagine without including its southern flank. There is much talk of sanctions on Russia. But sanctions can be countered and always ignore a key truth: Russia has always been economically dysfunctional. It has created great empires and defeated Napoleon and Hitler in spite of that. Undermining Russia's economy may be possible, but that does not always undermine Russia's military power. That Soviet military power outlived the economically driven collapse of the Soviet Union confirms this point. And the issue at the moment is military. The solution found for dealing with the Soviet Union during the Cold War was containment. The architect of this strategy was diplomat George Kennan, whose realist approach to geopolitics may have lost some adherents but not its relevance. A cordon sanitaire was constructed around the Soviet Union through a system of alliances. In the end, the Soviets were unable to expand and choked on their own inefficiency. There is a strange view abroad that the 21st century is dramatically different from all prior centuries and such thinking is obsolete. I have no idea why this should be so. The 21st century is simply another century, and there has been no transcendence of history. Containment was a core strategy and it seems likely that it will be adopted again -- if countries like Azerbaijan are prepared to participate. To understand Azerbaijan you must begin with two issues: oil and a unique approach to Islam. At the beginning of the 20th century, over half the world's oil production originated near Baku, the capital of Azerbaijan. Hence Hitler's strategy after 1942. Today, Azerbaijani energy production is massive, but it cannot substitute for Russia's production. Russian energy production, meanwhile, defines part of the strategic equation. Many European countries depend substantially on Russian energy, particularly natural gas. They have few alternatives. There is talk of U.S. energy being shipped to Europe, but building the infrastructure for that (even if there are supplies) will take many years before it can reduce Europe's dependence on Russia. Withholding energy would be part of any Russian counter to Western pressure, even if Russia were to suffer itself. Any strategy against Russia must address the energy issue, begin with Azerbaijan, and be about more than production. Azerbaijan is not a major producer of gas compared to oil. On the other side of the Caspian Sea, however, Turkmenistan is. Its resources, coupled with Azerbaijan's, would provide a significant alternative to Russian energy. Turkmenistan has an interest in not selling through Russia and would be interested in a Trans-Caspian pipeline. That pipeline would have to pass through Azerbaijan, connecting onward to infrastructure in Turkey. Assuming Moscow had no effective counters, this would begin to provide a serious alternative to Russian energy and decrease Moscow's leverage. But this would all depend on Baku's willingness and ability to resist pressure from every direction. Azerbaijan lies between Russia and Iran. Russia is the traditional occupier of Azerbaijan and its return is what Baku fears the most. Iran is partly an Azeri country. Nearly a quarter of its citizens, including Ayatollah Ali Khamenei, are Azeri. But while both Azerbaijan and Iran are predominantly Shiite, Azerbaijan is a militantly secular state. Partly due to the Soviet experience and partly because of the unique evolution of Azeri identity since the 19th century, Azerbaijan separates the private practice of Islam from public life. I recall once attending a Jewish Passover feast in Baku that was presided over by an Orthodox rabbi, with security provided by the state. To be fair, Iran has a Jewish minority that has its own lawmaker in parliament. But any tolerance in Iran flows from theocratic dogma, whereas in Azerbaijan it is rooted in a constitution that is more explicitly secular than any in the European Union, save that of France. This is just one obvious wedge between Azerbaijan and Iran, and Tehran has made efforts to influence the Azeri population. For the moment, relations are somewhat better but there is an insoluble tension that derives from geopolitical reality and the fact that any attack on Iran could come from Azerbaijan. Furthering this wedge are the close relations between Azerbaijan and Israel. The United States currently blocks most weapons sales to Azerbaijan. Israel -- with U.S. approval -- sells the needed weapons. This gives us a sense of the complexity of the relationship, recalling that complexity undermines alliances. The complexity of alliances also defines Russia's reality. It occupies the high Caucasus overlooking the plains of Azerbaijan. Armenia is a Russian ally, bound by an agreement that permits Russian bases through 2044. Yerevan also plans to join the Moscow-led Customs Union, and Russian firms own a large swath of the Armenian economy. Armenia feels isolated. It remains hostile to Turkey for Ankara's unwillingness to acknowledge events of a century ago as genocide. Armenia also fought a war with Azerbaijan in the 1990s, shortly after independence, for a region called Nagorno-Karabakh that had been part of Azerbaijan -- a region that it lost in the war and wants back. Armenia, caught between Turkey and an increasingly powerful Azerbaijan, regards Russia as a guarantor of its national security. For Azerbaijan, Nagorno-Karabakh remains a critical issue. Azerbaijan holds that U.N. resolutions have made it clear that Armenia's attack constituted a violation of international law, and a diplomatic process set up in Minsk to resolve the crisis has proven ineffective. Azerbaijan operates on two tracks on this issue. 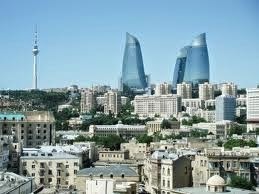 It pursues national development, as can be seen in Baku, a city that reflects the oil wealth of the country. It will not endanger that development, nor will it forget about Nagorno-Karabakh. At some point, any nation aligning itself with Azerbaijan will need to take a stand on this frozen conflict, and that is a high price for most. Which leads me to an interesting symmetry of incomprehension between the United States and Azerbaijan. The United States does not want to sell weapons directly to Azerbaijan because of what it regards as violations of human rights by the Azerbaijani government. The Americans find it incomprehensible that Baku, facing Russia and Iran and needing the United States, cannot satisfy American sensibilities by avoiding repression -- a change that would not threaten the regime. Azerbaijan's answer is that it is precisely the threats it faces from Iran and Russia that require Baku to maintain a security state. Both countries send operatives into Azerbaijan to destabilize it. What the Americans consider dissidents, Azerbaijan sees as agents of foreign powers. Washington disputes this and continually offends Baku with its pronouncements. The Azerbaijanis, meanwhile, continually offend the Americans. This is similar to the Nagorno-Karabakh issue. Most Americans have never heard of it and don't care who owns it. For the Azerbaijanis, this is an issue of fundamental historical importance. They cannot understand how, after assisting the United States in Afghanistan, risking close ties with Israel, maintaining a secular Islamic state and more, the United States not only cannot help Baku with Nagorno-Karabakh but also insists on criticizing Azerbaijan. The question on human rights revolves around the interpretation of who is being arrested and for what reason. For a long time this was an issue that didn't need to be settled. But after the Ukrainian crisis, U.S.-Azerbaijani relations became critical. It is not just energy; rather, in the event of the creation of a containment alliance, Azerbaijan is the southeastern anchor of the line on the Caspian Sea. In addition, since Georgia is absolutely essential as a route for pipelines, given Armenia's alliance with Russia, Azerbaijan's support for Georgian independence is essential. Azerbaijan is the cornerstone for any U.S.-sponsored Caucasus strategy, should it develop. I do not want to get into the question of either Nagorno-Karabakh or human rights in Azerbaijan. It is, for me, a fruitless issue arising from the deep historical and cultural imperatives of each. But I must take exception to one principle that the U.S. State Department has: an unwillingness to do comparative analysis. In other words, the State Department condemns all violations equally, whether by nations hostile to the United States or friendly to it, whether by countries with wholesale violations or those with more limited violations. When the State Department does pull punches, there is a whiff of bias, as with Georgia and Armenia, which -- while occasionally scolded -- absorb less criticism than Azerbaijan, despite each country's own imperfect record. Even assuming the validity of State Department criticism, no one argues that Azerbaijani repression rises anywhere near the horrors of Joseph Stalin. I use Stalin as an example because Franklin Roosevelt allied the United States with Stalin to defeat Hitler and didn't find it necessary to regularly condemn Stalin while the Soviet Union was carrying the burden of fighting the war, thereby protecting American interests. That same geopolitical realism animated Kennan and ultimately created the alliance architecture that served the United States throughout the Cold War. Is it necessary to offend someone who will not change his behavior and whom you need for your strategy? The State Department of an earlier era would say no. It was interesting to attend a celebration of U.S.-Azerbaijani relations in Washington the week before I came to Baku. In the past, these events were subdued. This one was different, because many members of Congress attended. Two guests were particularly significant. One was Charles Schumer of New York, who declared the United States and Azerbaijan to be great democracies. The second was Nancy Pelosi, long a loyalist to Armenian interests. She didn't say much but chose to show up. It is clear that the Ukrainian crisis triggered this turnout. It is clear that Azerbaijan's importance is actually obvious to some in Congress, and it is also clear that it signals tension over the policy of criticizing human rights records without comparing them to those of other countries and of ignoring the criticized country's importance to American strategy. This is not just about Azerbaijan. The United States will need to work with Turkey, Bulgaria, Romania and Hungary -- all of whom have been found wanting by the State Department in some ways. This criticism does not -- and will not -- produce change. Endless repetition of the same is the height of ineffectiveness. It will instead make any strategy the United States wants to construct in Europe ineffective. In the end, I would argue that a comparison between Russia and these other countries matters. Perfect friends are hard to find. Refusing to sell weapons to someone you need is not a good way to create an alliance. In the past, it seemed that such an alliance was merely Cold War nostalgia by people who did not realize and appreciate that we had reached an age too wise to think of war and geopolitics. But the events in Ukraine raise the possibility that those unreconstructed in their cynicism toward the human condition may well have been right. Alliances may in fact be needed. In that case, Roosevelt's attitude toward Stalin is instructive.